President Donald Trump looks over towards Budget Director Mick Mulvaney, left, after signing an executive order in the Oval Office of the White House in Washington, Monday, March 13, 2017. The proposal calls for at least a 20 percent cut to the departments of agriculture, labor and the state department. Trump's plan emphasizes military and border-security spending, as well as school choice programs. In Pittsburgh, affordable housing projects would be nearly impossible to fund under the proposal. The Department of Housing and Urban Development, or HUD, budget would be reduced by 13.2 percent under the 2018 outline. It includes the elimination of Community Development Block Grant Programs, known as CDBGs, which are the primary funding source for affordable housing projects in Pittsburgh. The modern-styled Penn Mathilda affordable housing apartment complex located on Penn Avenue has 39 units, half of which are reserved for veterans. In addition to housing projects, CDBGs support meals on wheels programs, redevelopment efforts, facility improvements and neighborhood organizations. Pittsburgh received more than $12 million in 2016 from HUD. Larry Swanson, executive director of ACTION Housing, said CBDGs are indispensable resources in the Pittsburgh region, which is already lacking 17,241 affordable units. 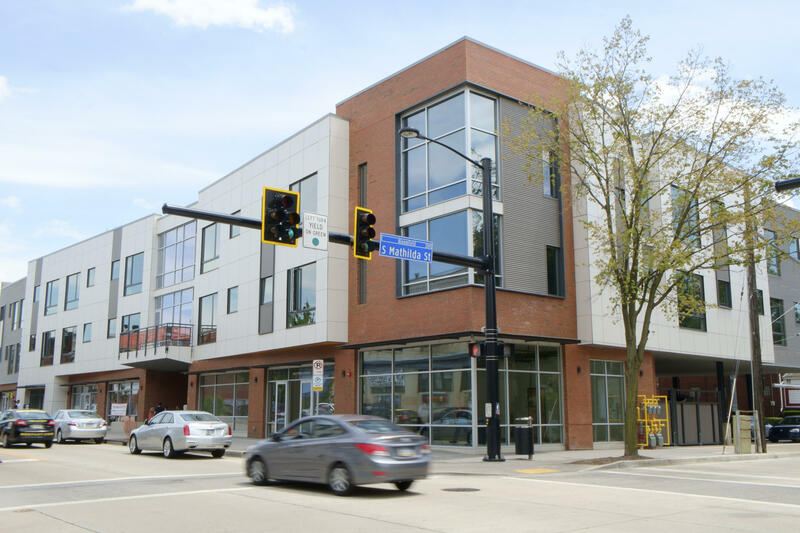 Swanson referred to two projects in Squirrel Hill and Forest Hills that received about $800,000 in funds from CDBGs and its housing-only dedicated program, HOME. He said without the federal money, the project wouldn’t have been possible. Last fall, 85 affordable units opened in Larimer, made possible by funding through a Choice Neighborhood grant, distributed by HUD. Swanson said through a state-administered federal tax credit program, Pennsylvania puts forth about $300 million a year toward affordable housing projects. About two-thirds is provided by private developers and the remaining third comes from nonprofits. The projects, Swanson said, are more than just places for people to live. Kevin Acklin, chief of staff to Pittsburgh Mayor Bill Peduto, echoed Swanson's concerns and said Trump’s budget cuts would be counter to the city’s “neighborhood-driven and equitable community development” agenda. “Staffing and programming at the URA and the Housing Authority is largely based upon CDBG funding and federal tax credit allocations, and removing these tools from our arsenal would undermine everything the Peduto administration is trying to accomplish," he said in a statement. Finding an alternative to CBDGs and other programs is difficult, Swanson said. The city’s Affordable Housing Task Force was created in December 2016, but has struggled with how to fund it. Pennsylvania Governor Tom Wolf said he’s still trying to determine the impact Trump’s proposed budget cuts will have on the commonwealth at large, but called the massive cuts, “unacceptable.” Wolf said thousands of Pennsylvanians rely on the programs that Trump is calling to eliminate, such as education and employment programs. “Workers rely on job training programs to help them get back on their feet," Wolf said. "Students across Pennsylvania with disabilities get access to the education they need to succeed through federal funding." Gabriella Gonzalez, senior social scientists with RAND Corporation, said Allegheny County’s manufacturing, farming and technology sectors could see slow growth without funding. Gonzalez said while Allegheny County’s unemployment rate aligns with the national average, the surrounding counties are dealing with joblessness or underemployment. A few dozen veterans, health experts and administrative staff listen to VA Pittsburgh director Karin McGraw at a veterans' town hall meeting on Wednesday, March 15, 2017. Included in Trump’s Commerce Department cuts were Manufacturing Extension Partnerships, or MEPs, which are public-private partnerships that help small and medium-sized manufacturers run their businesses. In 2016, MEPs served 184 companies in the region. The Department of Veterans Affairs was one of three departments to receive an increase in funding, by about 6 percent. The department reports that there are more than 85,000 veterans living in Allegheny County. Wolf said he also worried about negative effects from cuts to the U.S. Environmental Protection Agency, which Trump wants to slash by 31 percent. “If that means 30 percent fewer people monitoring our water and our air, that puts a lot more responsibility back on the states to do that and that’s something that’s just a fundamental right and in Pennsylvania it’s a constitutional right," he said "So, I’m concerned." 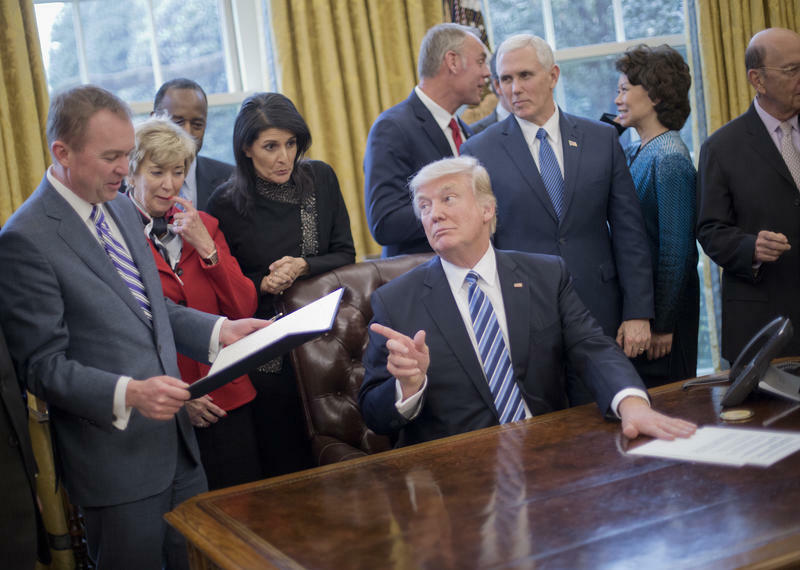 Trump’s plan calls for cutting nearly 20 percent of EPS jobs and eliminating more than 50 programs. The agency is responsible for enforcing regulations based on laws passed by Congress. The Washington Post reported the budget would setback the Chesapeake Bay cleanup, which now gets $73 million. Wolf also said he is concerned about the replacement of the Affordable Care Act. The U.S. Congress will draft a budget this spring and a formal budget has to be agreed on by October. 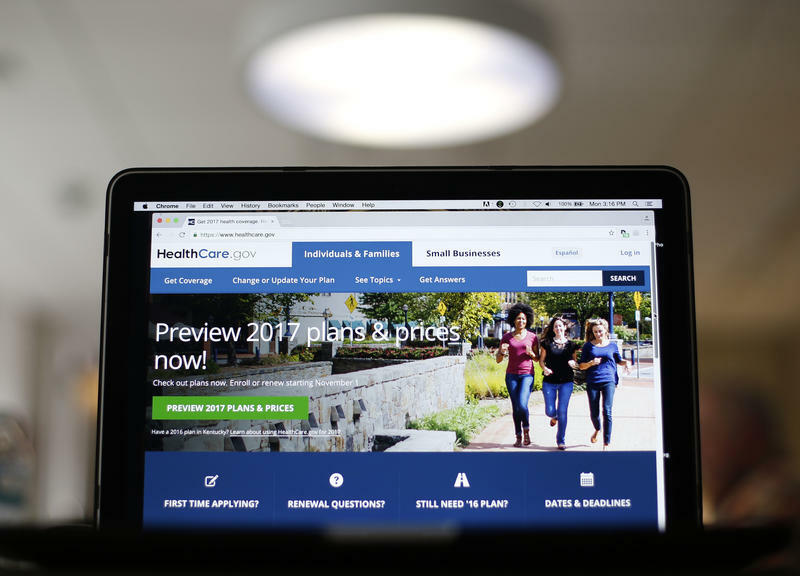 This week’s topics include a look at what could happen in Pennsylvania if the Affordable Care Act is repealed. We'll discuss the contract negotiations between Mayor Bill Peduto and the Fraternal Order of Police. Also, we'll look at plans to get funding to repair Pennsylvania's bridges and roads. Gisele Fetterman, founder of 412 Food Rescue and Braddock’s free store, and wife of Braddock Mayor John Fetterman, was an undocumented immigrant for 10 years. She said she lived in New York City with her mother and her brother and dreamed of becoming a citizen one day. The thing she looked forward to most? Jury duty. Fetterman shared her immigration story Tuesday evening at an event she and her husband hosted at their home, meant to highlight the economic contributions of immigrants in the Pittsburgh region.